Catering to the design trade: Interior Designers, Architects, Showrooms, and Contractors. Receiving service: Opening or uncrating, inspection of goods, and digital photos emailed within 3 days of arrival. Storage in our clean climate controlled warehouse. Licensed and insured with video surveillance and security service. Installation service, pre staging, delivery of items, arrange, plus steaming & deluxing for that finished look. Showroom arrange and rearrange services. Storage by Design is a division of Village Interiors Inc. Village Interiors has been building custom furniture to the Seattle design trade since 1984. Established in Issaquah, Washington we moved to the Design Center neighborhood in 2003. Throughout the years the storage and moving of furniture was done by others. Frequently we were asked to visit homes during and after installations to repair, primp and deluxe the items we had manufactured. 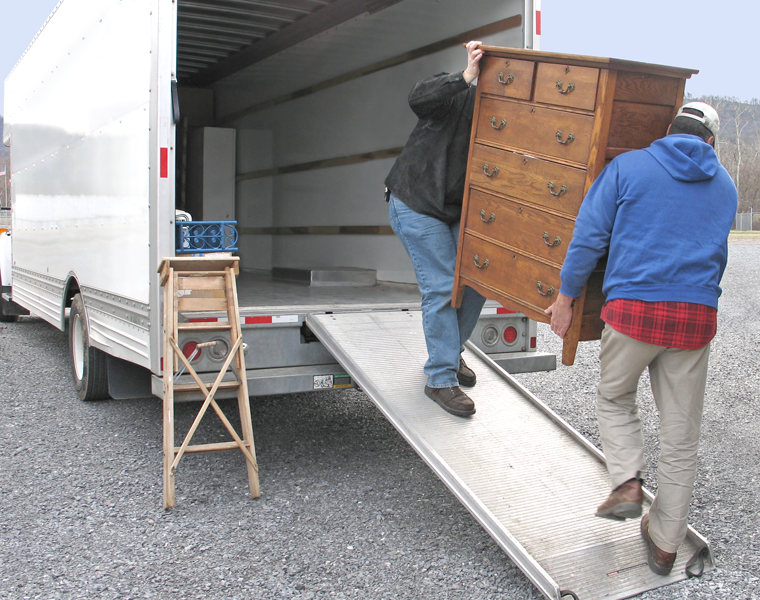 Man handling during installation by average movers, who had not the care or understanding of the fine fabrics and furniture they were installing, made us aware that the service of installing furniture was lacking in our area. Along with the opportunity to expand and take over the entire building located at 215 and 217 S. Findlay, the idea to create Storage by Design came easily. To store the furniture properly, with climate control, good lighting, racks for long term storage and the Million Dollar Room where the finest antiques and art are stored. Our facility is protected by alarm systems and 24 hour security cameras located through out the building. Installations became our claim to fame with our staff working hard to insure that furniture is handled cleanly and the fine finishes of the custom wood and metal pieces being installed are protected. Our personnel are courteous, polite, careful and presentable to clients in the homes we visit. Since we are a manufacturing facility, we have the ability to repair damaged furniture when the time is too short to have the piece returned to the vendor. We have a full service frame shop, so are able to build custom crates for shipping items cross country or internationally. We are a green company whenever possible. All packing materials are recycled and re used. When we load containers we are able to make good use of our foam padding scraps for packaging, and oddly enough, when shipping to places like Hawaii, the receiver there has a commodity to trade or sell to upholstery shops there.